Root canals have a reputation for being incredibly painful. However, they actually aren’t as painful as you’d think. Besides, this dental procedure is a way to save your tooth and prevent the infection from spreading. Root canal treatment is needed when your teeth are infected and dying from the inside. Advancements in dentistry have allowed this procedure to become a lot less painful than it used to be. It usually can be done within one trip to the dentist, although two to three tips are sometimes necessary. Root canals are dental procedures performed when the pulp inside of your tooth is infected with bacteria. This is usually a result of injury or a cavity that was never addressed. If such an infected is left untreated, it usually gets to the point where your tooth has to be extracted. Has your dentist recommended a root canal? Knowing the steps of a root canal may relieve some of your anxiety. The first step of this four-step process is preparing your tooth. The first thing your dentist will do is numb the area that the procedure will be carried out on. You may feel a pinching sensation when the needle enters your gums but the feeling will fade as the numbing solution comes into effect. After making sure you don’t feel pain around the area, your dentist will put a dental dam on your tooth. This small sheet of rubber isolates your tooth and keeps it separated from the rest of your mouth so that it doesn’t get wet and contaminated during the procedure. At this point, an opening will be made inside your tooth. A tiny drill is usually used to open up a hole in the top portion of your tooth. Your dentist will then clean or scrape out the damaged and diseased parts of your pulp. The inner chamber will be shaped with some tools and rinsed with clean water to get out any residue. An antimicrobial solution is usually used as well to eliminate any of the lingering bacteria and reduce the risk of reinfection. After the hole in your tooth has been cleaned and dried, it’s time for it to be filled. Gutta-percha, a root canal filling material, is used. Your dentist will then either seal the opening with a temporary or a permanent crown. In most cases, a permanent crown is installed a couple of weeks after the cleaning and filling procedure. There may also be a small supporting post put inside your root chamber that will further strengthen the crown. How do I care for my teeth after a root canal? It’s crucial to take care of your teeth and gums after a root canal. Your dentist will most likely schedule a follow-up visit to make sure that you are healing well. Make sure you visit your dentist for regular biannual cleanings as well. And of course, maintain good oral hygiene habits. Aside from brushing twice a day with a toothpaste containing fluoride, make sure you floss daily! You may never have to experience a root canal ever again if you take some time making sure your teeth are clean and healthy. Tee Family Dental is a local dental office in Perth that can help solve root canal issues – get in touch today to see how we can help. Let’s face it. No one likes going to the dentist. Sitting in a waiting room only to be ushered into a chair where someone shoves sharp things in your mouth is not anyone’s ideal way of spending an afternoon. It’s no wonder that it’s oh-so-tempting to put off booking your checkup. Procrastinating only makes things worse, though. The longer you wait, the more chance you’ll develop a costly problem! It’s important to get those checkups in. The trick is to find a dentist that makes everything as easy and painless as possible! Finding a quality dentist near Warwick can be tough. There’s a lot to choose from! A lot of factors go into choosing the right one. The most important one is reliability. What exactly does that mean, though? Sitting down in the dentist chair is an act of trust on your part. Think about it. You’re opening your mouth and letting someone poke around your teeth and gums with sharp tools! Having someone, you can trust and rely upon to do the job right every single time should be priority number one. When looking for a reliable dentist, a consistent and familiar face can help build a strong foundation of trust that helps make your visits comfortable and stress-free. Many practices in the Warwick area consist of a group of dentists. While on paper this sounds like a good idea because there is always a dentist on call, it does not inspire trust or consistency. If just the thought of visiting the dentist office stresses you out, seeing a different dentist you’ve never met every time you visit the office can’t help! A dental practice run by one dentist is your best bet. Seeing the same doctor, every visit builds rapport, trust, and consistency. Putting your trust in a dental practice run by one doctor has some unique benefits. Dentists who operate on their own know they have to go the extra mile to gain your trust. That means making EVERY aspect of your visit as comfortable and painless as possible from the minute you step into the waiting room to when you step out of the dentist’s chair. If that means giving you a light amount of sedation to calm you, great! Single doctor practices are great for fostering a healthy rapport. Getting around Warwick and the surrounding suburbs is time-consuming. Sometimes booking a dental appointment in the usual 9am-5pm time window isn’t possible. Another great thing about a single doctor dental practice is their flexibility. They aren’t forced to cater to the schedules of their partners, and therefore have more freedom to cater to yours. Having a dentist who works with your schedule instead of theirs gets rid of that pesky “I don’t have time!” excuse and creates consistency. Booking your next dental appointment can be scary. Putting it off until you have a serious problem is worse, though! Hopefully, we shed some light to help with your search for the perfect dentist. See you in the waiting room! Your dental health is important, as a dental issue can disrupt your day-to-day life quite easily. It’s important to keep your teeth healthy, you can do this by having a regular habit for dental hygiene care, including regular visits to your local dentist. For some people, they might need to get a root canal treatment, there’s a lot to know about it to ensure that you get the best results from the operation. If you are looking for a guide on root canal treatment, then you’ve come to the right place. Here are 5 things to know & why you should use Tee Family Dental for your Root Canal Treatment in Perth. 1) Discomfort when eating hot or cold foods, sharp pain when clenching jaw, swollen gum tissue, or acute tooth pain. These are all the symptoms of a disease in the pulp tissue, which is located in the roots of the teeth. There’s a canal that connects one root of the tooth to the other, and it’s lined with these pulp tissues. They can become infected or inflamed, which can lead to a whole slew of other problems such as tooth pain and decay. These issues get progressively more difficult to treat as the conditions become more severe, so it’s a good idea to get checked early. The pain in the tooth can come and go, but if left untreated, the risk of inflammation and decay rises by the day. The infection can travel from the pulp tissue all the way down to the very tip of the tooth’s roots and spread to the gum. It can cause dental abscesses, which is when the gum surrounding the tooth’s root swells up with puss. If remain untreated, the gum can become infected, which presents many other dangerous health issues, especially if the infection gets into the bloodstream. By removing the diseased pulp tissue, the infection within the tissue will be removed along with it. Pulp tissue is not an essential part of the teeth, which means that you don’t need it to have healthy teeth. Once the pulp is removed, the tooth canal will be filled with biocompatible material to ensure that the structure of the tooth remains as strong as before. A crown will then be fitted on top of the tooth when the root canal treatment has set correctly. It gets rid of the previous condition while preventing further complications from occurring, making it an effective treatment for infected pulp tissue. Just like regular teeth fillings, root canal treatment is painless. The patient will receive a numbing agent before the treatment takes place. The treatment is small, as a small hole will be drilled on the biting surface of the afflicted tooth, which is where the infected pulp will be removed from. If you are aggravated after the treatment, you can use over the counter pills to reduce the pain. You might feel a slight sensitivity after the treatment, but this will go away within 2 or 3 days. If the pain persists, you are advised to contact your dentist. 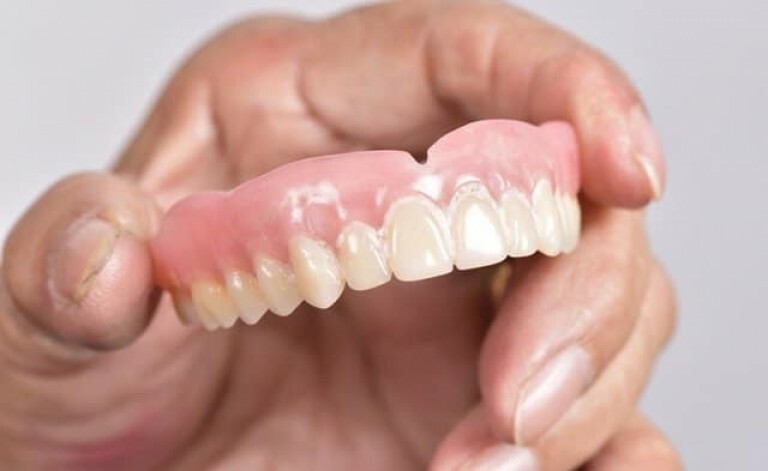 Instead of having to get a tooth replacement, you will get to keep your teeth. Tooth removal can lead to a number of other dental issues, and a tooth replacement must be set in place to prevent the collapse of other teeth. 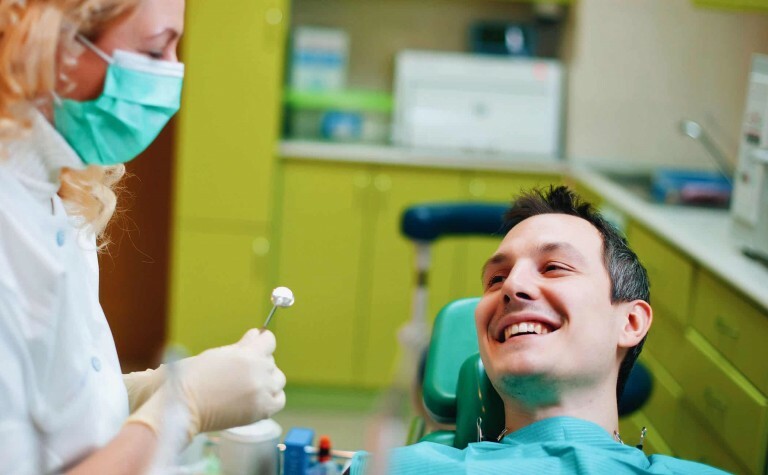 It typically takes much longer for the patient to adjust to the tooth replacement, which is why most dentists will make tooth removal the last resort. It’s important that your dentist has experience & expertise in root canal treatment, you should check reviews online for a provider that’s trustworthy & is able to provide excellent aftercare, Tee Family Dental offers root canal treatment in Perth, so get in touch today to see how we can help. Should you Use Mouthwash Every Day? You’d be surprised how many benefits are jam-packed in mouthwash; however, this often depends on the kind you use. Fortunately, if you’re looking for a simple mouthwash to cover your stinky breath, there are plenty of options to use. However, if you’re looking for something more heavy-duty, you’re going to have to do a little more digging to find the perfect brand. Besides which mouthwash you should be using, a common question that you may have is, should you use mouthwash every day? There’s a lot you can do for your mouth by using the right type of mouthwash. Most generic brands can help improve bad breath, but a dentist might advise you to use one that can better suit your mouth, such as if you need to treat oral sores, gingivitis, or other dry-mouth conditions. However, do keep in mind, more extensive mouthwash such as these will end up costing you more money.Talk to your dentist at Tee Family Dental, and they can help recommend a mouthwash for you! There are many different types of mouthwash that you can choose from, whether you’re looking for general daily use or medical mouthwash to provide a form of treatment. Your dentist might prescribe you mouthwash with benzocaine following dental surgery or if you’re suffering from sores, mouthwash with antimicrobials for fighting against gingivitis, or a fluoride mouthwash to help keep your teeth healthy every day. However, it’s important to remember that you regularly floss and brush your teeth at least twice a day. Mouthwash is intended to help your teeth, but not to be used as a substitute to clean them. Also, ensure you keep all mouthwash in your home out of your children’s reach, since it can be poisonous if swallowed in massive consumption. Mouthwash can and should be used once or twice a day. It should be used after flossing and brushing your teeth, so you can offer protection to your mouth throughout the day, as well as overnight. However, the number of times you use mouthwash a day depends on the kind you are using. For example, generic mouthwash should be used at least twice a day, but a dentist prescribed mouthwash should only be used as dictated by your dentist and the instructions provided. If you have any questions, be sure to talk to your dentist, they will be more than happy to answer any concerns you may have! To keep your mouth clean and healthy, it’s crucial that you drink water every day and keep yourself well-hydrated, since water can help your mouth produce more saliva. Also, you should be sure to eat a healthy diet of fruits and vegetables and avoid over-consuming sugary snacks, which can cause a variety of mouth conditions, such as cavities and bad breath. Additionally, you should keep your oral hygiene well maintained and clean your tongue every day. You can use a tongue scraper or use your own toothbrush and should order a new toothbrush every three months or so. If you have any other questions, feel free to call Tee Family Dental and speak to our Dentist in Perth today!